Rayman 2 for iPhone for $6.99 from Leo Laporte. 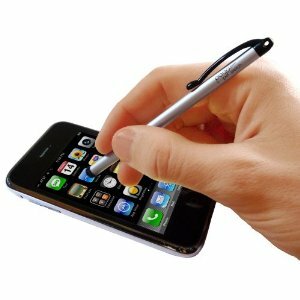 Ten One Design Pogo Sketch Stylus for iPhone 3G, 3G S for $13.49 from Andy Ihnatko. SanDisk Extreme Pro ExpressCard Adapter at http://www.sandisk.com for $49.99 from Alex Lindsay. Digital Bass Line for iPhone for $4.99 from Alex Lindsay. Headspace for iPhone for $2.99 from Merlin Mann. MindNode for iPhone for $5.99 from Merlin Mann. OmniGraffle at http://www.omnigroup.com for $99.95 from Merlin Mann. Zeptoliner for iPhone for $8.99 from Merlin Mann. Tony Buzan Mind Mapping Books from Merlin Mann. Pentel Color Pen Set, Set of 36 Assorted Colors (S360-36) for $20.31 from Merlin Mann. The Big Burn: Teddy Roosevelt and the Fire that Saved America from Andy Ihnatko. The Yugo: The Rise and Fall of the Worst Car in History from Leo Laporte. SuperFreakonomics: Global Cooling, Patriotic Prostitutes, and Why Suicide Bombers Should Buy Life Insurance from Alex Lindsay. Theodore Rex from Leo Laporte.